I bet this happens to you too, you check your email or feed and a recipe comes across that checks all the boxes. Everything that you are loving or craving at that moment. Your mind starts mentally going over the ingredients that you have, will need or can substitute….. This is one of those recipes. This recipe has been slightly adapted from Saving Room for Dessert. Begin by sautéing the onions in olive oil using a large oven-proof skillet. Sauté’ until golden in color. Add the garlic, thyme and cayenne pepper (if using). Stir for another minute or so and then add the tomatoes, brown sugar and 1/2 teaspoon salt. Bring to a simmer and cook until the tomatoes start to soften about 4 to 5 minutes. Remove from heat and gently stir in the flour. Cut the butter into tiny pieces and the top of the tomato mixture. Set aside. Mix together the flour, baking powder, sugar, salt and pepper. Add sliced butter. (You can use a pastry cutter, I used 2 knives in a scissor motion). Blend until you get pea sized lumps. Add in the milk, thyme and mustard and mix until a sticky dough forms. (careful not to over mix). Then using a ice cream scoop, drop dough over the tomato filling. Brush the dough with milk and bake 45 to 55 minutes until golden brown. I too love Tricia's blog and hers recipes are amazing. Your tomato cobbler looks divine, Cheri. Thanks Angie, I could eat this every night of the week, it's that good, she is a genius! I adore Trisha in so many ways, too. I remember her tomato cobbler fondly (just the sound of it is amazing) - and you did her credit with your version. I was drooling and I'm drooling now looking at this! Thanks Monica, I know her stuff is amazing. yum! I love tomatoes! I love cobblers! Such a perfect dish! Thanks Marcela, youcan't go wrong with a cobbler, thats for sure. Oh, this is coming close to hitting all my culinary buttons. Now I am not sure which will get made first - the plum cake or this savory cobbler. And it definitely looks like a "Serves 2" kind of recipe! Hi David, I hear you on the portion size, hehe! It's the perfect time of year to make every tomato dish imaginable! I've never eaten a tomato cobbler, but it looks fantastic! Hi Liz, I agree, there is nothing like summer tomatoes. You are right that Tricia posts the most amazing food. This had caught my eye also! Can't wait to give it a try! Thanks Abbe, this is a new summer favorite around our house. Woow..seems very interesting..have not heared abt it before...ll try if I can manage all the ingredients here...Thanks for sharing dear. Your welcome Moumita, hope you enjoy it. I love Tricia's recipes too and I must have missed this one! This does hit all the right notes and I can't wait to try it with the abundance of garden tomatoes I have right now! Thank you for posting this, Cheri! Hi Susan, I know she is great, not surprised to see you have saved this too! Thanks Charlie, we really enjoyed this! Thanks Julie, hope you enjoy it!! I've made peach cobbler before and I know this tomato cobbler of yours surely taste yummy and tasty. Thanks for sharing, Cheri. Hi Tandy, me neither and when you use summer tomatoes that are baked the flavor is so intense. I like to make a tomato cobbler every summer, and I've just now realized that I haven't yet this year! Thanks for the reminder and yes, this does check all the boxes! Thanks Joanne, I can't believe summer is almost over. cobblers are wonderful, whether sweet or savory. i've actually never had a tomato cobbler, though i definitely have the ingredients on hand right now! Hi Grace, you are so right, cobblers are the best both sweet and savory. My mom makes tomato tatin all the time but tomato cobbler sounds even better. I'll pass your recipe to her stat! Thanks Mike, hope you enjoy this!! Hi Monique, I see your tomatoes are absolutely gorgeous this year, you have such a green thumb. Take care! 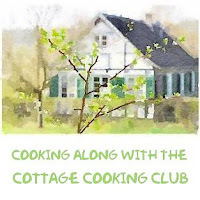 Tricia's blog is great and so is this recipe! Time to make a tomato cobbler, it has to be delicious! Thanks Pam, this is a wonderful recipe that can be changed up in so many ways. This looks like a great way to use up all those delicious tomatoes that are around at the moment! Thanks Dannii, this really is good. Hi Cheri, that's an awesome rcipe. We love freesh tomatoes from the garden. You have inspired me to try this. Thanks Linda, hope you enjoy it! Dear Cheri, although I do make tomato tarts, I have never made a tomato cobbler - what a fun way to serve the delicious summer tomatoes and such a very pretty presentation as well. Thanks Andrea, this is one of our favorite summer dishes. I have never made a tomato cobbler before. I only ever think of having tomatoes in a salad - what a neat idea this is! Hi Lucie, let me know what you think if you try it. Take care! I love tomatoes in all variations and this way to prepare them looks delicious! Hi Daniela, I agree, summer tomatoes are the best. This looks wonderful, Cheri! Like summer in a pie. I bet it has so much flavor with all of those ingredients. I have never tried a tomato cobbler, but I bet I would love it! Hi Shari, I think you would too, there is nothing like summer tomatoes. Thanks Kim, you are too kind! You are so sweet Cheri! And I am now craving this wonderful cobbler again. It is one of our all time favorite tomato recipes. Woohoo - so happy you liked it too: Thanks for the link love! What a great summer dish! I made a tomato cobbler recently, and the savory flavors are so good with the biscuit topping. Hi Lisa, I agree, summer veggies are the best. Such a great looking dish! Perfect way to use tomatoes. And something really different! Thanks for this. This tomato cobbler is making my mouth water! Can't wait to make it! Thanks Zaza, it really was good. This looks delicious - such a perfect way to enjoy summer's tomato bounty! Thanks Amy, summer tomatoes are the best. Hi GG, I think this would be the perfect way to celebrate. I have to make it, like, NOW! Thanks Coco! I see your cooking with tomatoes too! 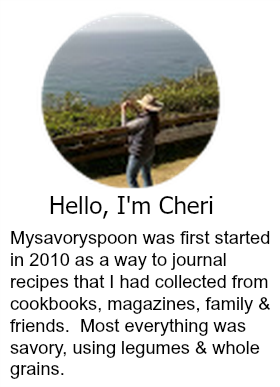 This sounds like a great recipe, Cheri! I love tomatoes, so I will need to try this! Thanks Nancy, hope you give it a try. I love tomatoes, this sounds really scrumptious. Thanks Dawn, appreciate you stopping by. YUM! I love tomatoes! I love them so much! I eat them 3 times a day! Thank you so much for the recipe! Love this tomato clobber look wonderful !! I've got a ton of field, roma, and heirloom tomatoes from the farms right now, Cheri, and I'd love to try this recipe. I have to admit I get nervous when I see words like 'flour' and 'baking powder' because I seem to be the world's worst baker, lol. It does seem relatively straightforward though so I'll be brave. Thanks Robyn, thank Trisha this is her brilliant recipe, I can not get enough of it. This looks like a great recipe for when the inevitable summer tomato glut arrives. I will have to pin it for then.